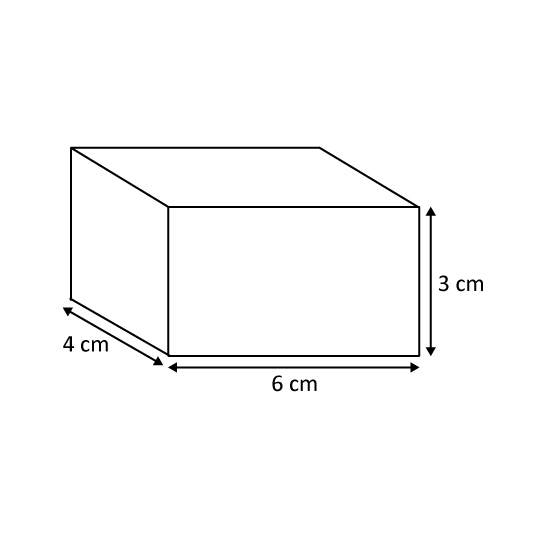 Find the volume of the cuboid shown. 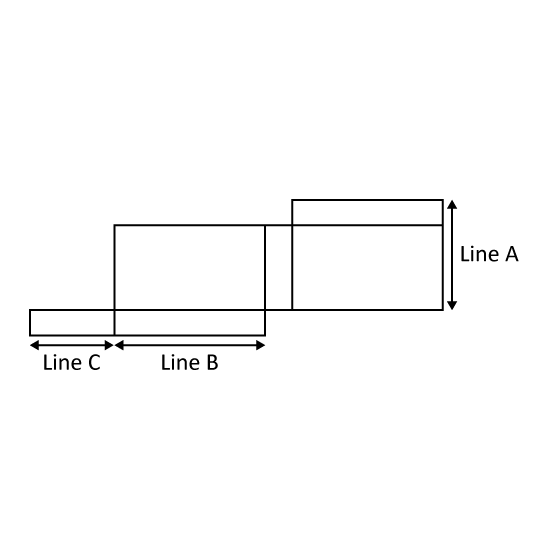 What is the volume of a cubical box of edge 7 cm? Mrs Lee bought 2 litres of washing liquid and used up 34 of it. How much of the washing liquid is left? Express your answer in millilitres. 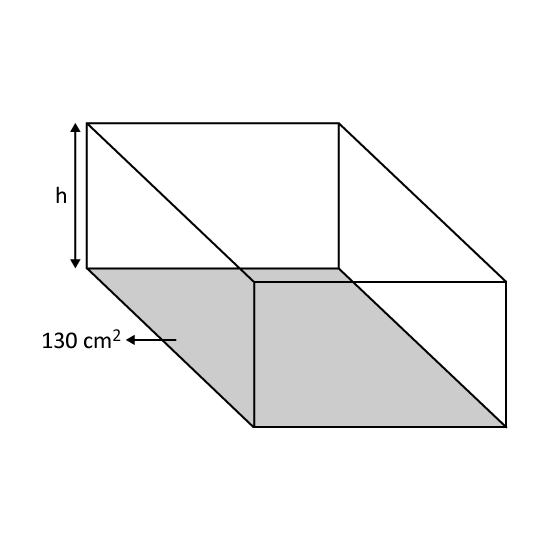 A rectangular tank of volume 1430 cm3 has a base area of 130 cm2. Find its height. 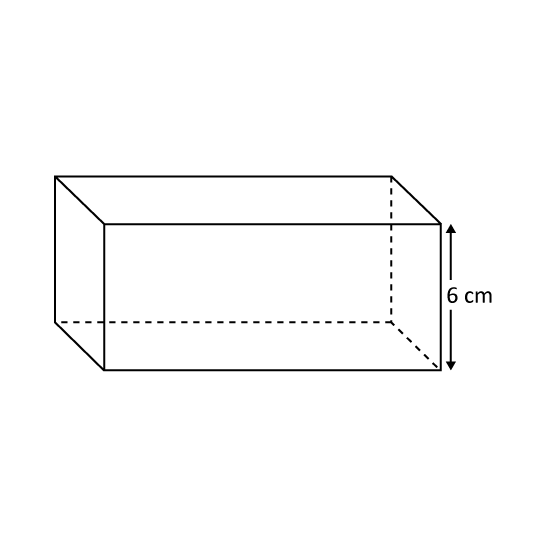 The cuboid has a volume of 510 cm3. 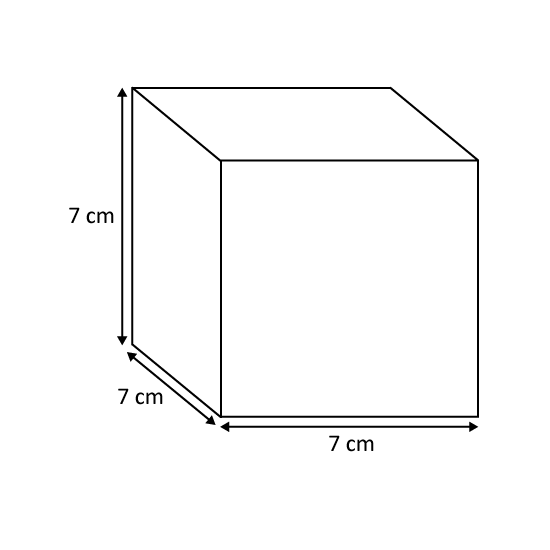 Find the area of the base of the cuboid, given that its height is 6 cm. 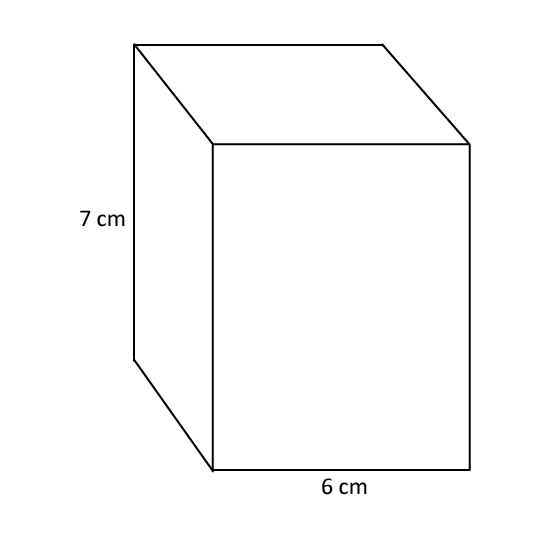 A solid cuboid of height 7 cm has a square base of side 6 cm. What is its volume? 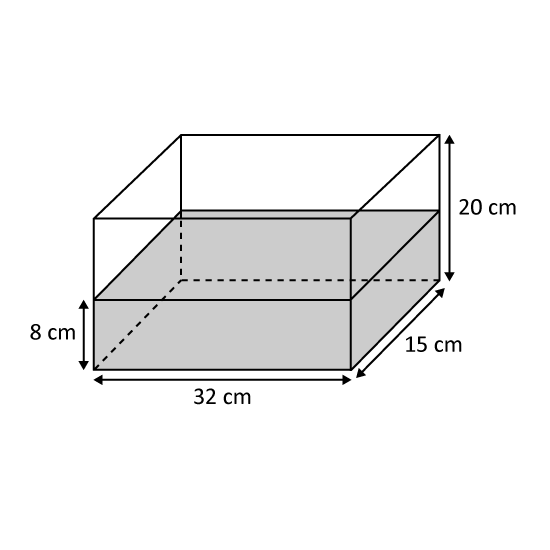 A rectangular container measuring 32 cm by 15 cm by 20 cm is filled with water to a depth of 8 cm. Find the volume of water in the container. Give your answer in ℓ and mℓ. 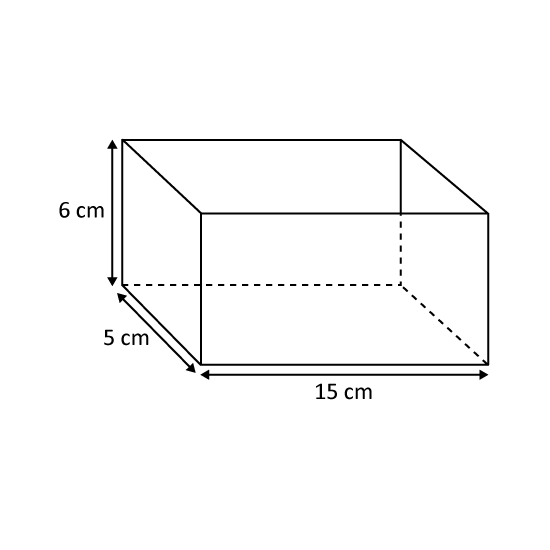 How many 1-cm cubes can be packed into a box measuring 6 cm by 4 cm by 3 cm? 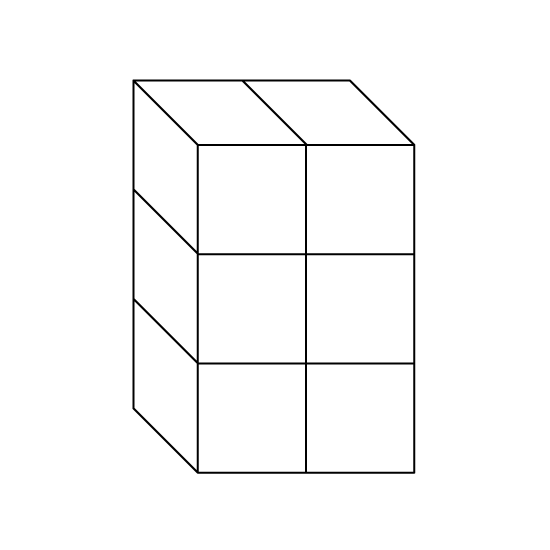 The solid is built from cubes of edge 5 cm. What is the volume of the solid?